N.S. Modification O.N.87 Dated 30.07.2018. STG modification O.N.81 Dated 24.07.2018. Sr.T.A. modification O.N.80 Dated 24.07.2018. N.S.Transfer Order No.48 Dated 13.06.2018. M.T.S.Transfer Order No.49 Dated 13.06.2018. T.A. Transfer Order No.47 Dated 13.06.2018. O.S. Transfer O.N.42 Dated 08.06.2018. Stay Order O.N.37 Dated 30.05.2018. 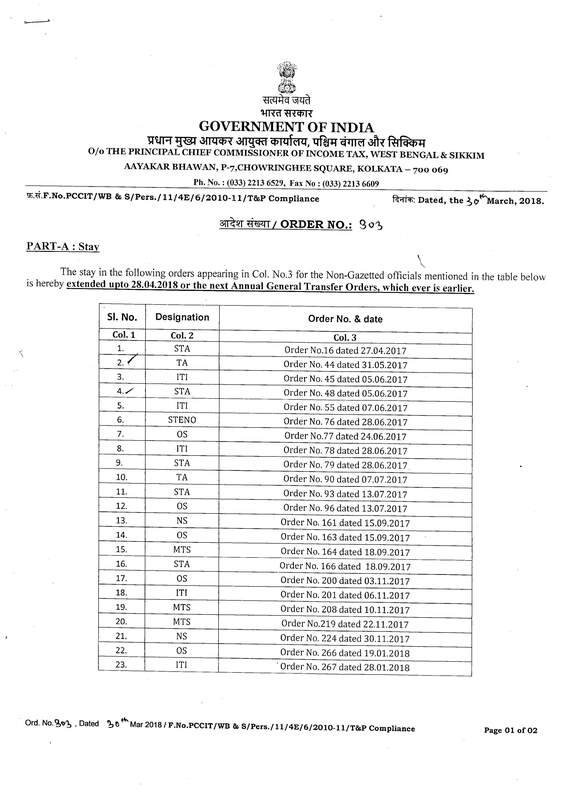 Transfer Order No.200 Dated 03.11.2017. Revised Jurisdiction of DDO's O.N.104 Dt.08.09.2017. STENO Gr.II Transfer O.N.143 Dated 28.08.2017. MTS Transfer Order No.137 Dt.23.08.2017. O S tranasfer order no.66 Dated 14.06.2017. Sr T A and T A transfer Order No.65 Dated 14.06.2017. OS Transfer Order No.24 Dated 05.05.2017. Stenographers(Gr.I & II) transfer O.N.22 Dated 05.05.2017. Sr.TA Transfer & Modification Order no.101 Dated 03.09.2015. TA Transfer & Modification Order no.102 Dated 03.09.2015. STAND RELEASE Order No.97 Dated 28.08.2015. ITI Modification Order No.90 Dated 19.08.2015.